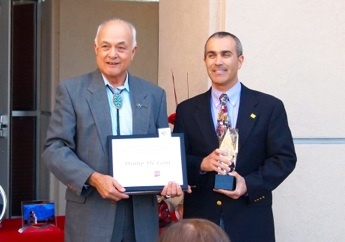 Receiving the John Kaichiro Nakayama and Tome Miyaguchi Nakayama Endowed Professorship for Teaching Excellence from Dean Ricardo Jacquez, College of Engineering (Oct. 2012). Prof. De Leon held the Nakayama professorship until Oct. 2014 when he was awarded the Paul W. and Valerie Klipsch Distinguished Professorship in Electrical and Computer Engineering which he currently holds. Thesis option minimum 24 credit hours coursework, 6 credit hours EE599. Click here for more details. *Denotes graduate core course. ^ Denotes required course for DSP specialization.